This post outlines some of the things that Alex Simring does outside of work and gives a bit more insight into his personal side. Medical studies and being a gastroenterologist form a large part of his life, but they certainly don’t define everything about him! Alex loves music, particularly playing the cello, running, cooking and meditation. He’s just turned 40 at the time of the post, and he certainly feels that that he still has the best years yet to live! As previously mentioned, Alex Simring attended Annangrove Public Primary School. From there, Alex won a cello scholarship at Sydney Grammar School. This school not only provided Alex with an excellent academic education, but there was also a brilliant music department and this allowed him to flourish at his real passion – playing cello. Alex started playing cello at the age of 5 and fell in love with the instrument almost immediately! While most kids his age were busy mucking around and having fun, Alex did a lot of mucking around, but also spent a lot of time with music. “I didn’t find it a chore at all”, says Alex “mostly because I seemed to pick up the cello really easily and enjoyed playing the cello all the time”. Well this dedication certainly paid off, in particular with Alex winning a music scholarship allowing him to attend a prestigious school in Sydney. His parents still lived in Annangrove, so this meant a 3 hour daily round trip by train to school. Sydney Grammar School also has a really strong academic profile, and as it happened, Alex performed well academically and gained entry in undergraduate Medical School at the University of New South Wales where he studied medicine. 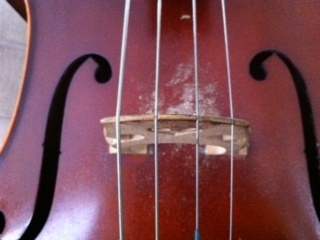 Here is a picture of Alex Simring’s cello – when it was played last is anyone’s guess! Alex Simring was an Intern at Concord Hospital and underwent almost all of his medical training at this hospital. He underwent basic physician training at Concord Hospital and then advanced training in gastroenterology. His final year of training in gastroenterology was undertaken at Nepean Hospital. He now works in private practice in Liverpool. Special areas of interest include nutrition, irritable bowel syndrome, fatty liver disease and inflammatory bowel disease. Enough about the work side of things, as the rest of this website is dedicated to gastroenterology. So, what about some hobbies? It is true to say that anyone who has undergone medical training runs the real risk of becoming uni dimensional – medicine is so time consuming, that it really takes almost all of your time. Alex, however, really tries hard to maintain a good balance between work, family and fun. Other than music, Alex’s other main passion is keeping fit. He didn’t play much sport when he was growing up, but he’s now trying to make up on all the lost time! The latest craze is CrossFit, and Alex is trying really hard to make this a regular habit….not always easy, but he finds it really enjoyable and always tries to make time to keep fit.